We’re getting ready for the New Year’s Eve 8:00PM Eastern Time Premier of Zona’s Awesome Fishing Show on the Outdoor Channel. For anyone who was a fan of World’s Greatest Fishing Show, this is different; Zona’s Awesome Fishing Show is a bass fishing show. We’ve been filming episodes of the show for much of the fall, but if you think that’s all I’ve been up to, ha-ha, you’ve got another thing comin’ my friend. I’ve been down to Little Rock for some meetings with Jerry McKinnis. I got a chance to hear some of his plans, and I’m really excited about where he is taking it. No, I can’t tell you any of them; I’ve been sworn to secrecy. Anyone can imagine it hasn’t been an easy thing for me; I’ve been known to talk a lot. But, over the past few years I’ve developed the approach of doctor / client privilege, and I think I could almost be a counselor. Anyway, as far as the future of B.A.S.S. goes, I think we’re pretty lucky to have Jerry and his partners running the show, there’s a lot of good things in the works. This time of year is always a little odd for me; I have to admit to dealing with a little anxiety. I travel enough with the Elite Series and filming my show that I have a little trouble slowing down. But, I have my three best friends around to help take the edge off. It may sound a little cliché, but my favorite people in the world are my wife Karin and our twin sons Jakob and Hunter. We huddle around the TV for football Sundays; we are huge Chicago Bears fans and we play a lot of Texas Hold ‘em. My kids have become awesome players; yes, I like to bring ‘em up young. We also have a lot of family traditions here in Michigan, which are basically finding new ways to screw around. The latest is “The Running of the Beast.” The tradition involves Hunter, a football, and Jakob running through the snow with nothing but shorts on, we filmed it and put it on my website; markzona.com. Hopefully the result won’t be Child Protective Services showing up at our door. Even if they did, it would probably be Karin’s problem anyway, by the time they got around to it. We’ve heard from a lot of people that they are going to get into the Running of the Beast, and I’m sure there will be some adults taking their turns too. Back to Zona’s Awesome Fishing Show for a minute, my first episode is with Kevin VanDam, who’s been one of my best friends for a long time. 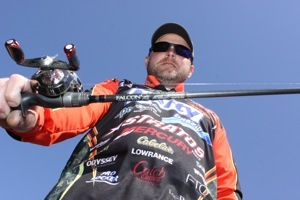 I will say this about him, along with being a great angler; he’s a great friend and a great competitor. But, there’s a small percentage of him that’s like the Tom Hanks character in the movie Big, and that comes out on this episode. Yes ladies and gentlemen, KVD sings on the premier of ZAFS. Not for long, but he does. 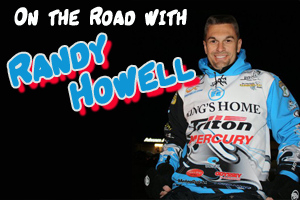 This episode will set a tone for the show, as I do my best to take these guys; the best anglers in the sport, and break them down to the amateur level. I do everything I can to show them in a different light; that they’re not the robots everyone sees when they’re competing on The Bassmasters. I’m excited about where things are headed, and can’t wait for them to get started. 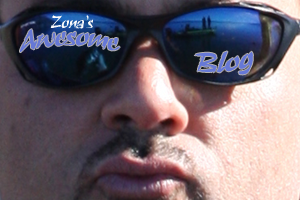 <>br Zona’s Awesome Fishing Show starts New Years even 2010!